How Do You Trade Earnings Announcements? Get Free Tips & Strategies! How Do You Trade Through Earnings Announcements? How Do You Trade Through Quarterly Earnings Results? Every quarter, people ask me this question: How do you adjust your trading for earnings announcements? Do you sell before each quarterly conference call? What do you do after earnings are announced? Do you chase price higher… wait for a pullback… or go bottom fishing? Well, you’ve come to the right place! Because in this detailed article I’m going to tell you everything I’ve learned over the years about trading through earnings announcements. 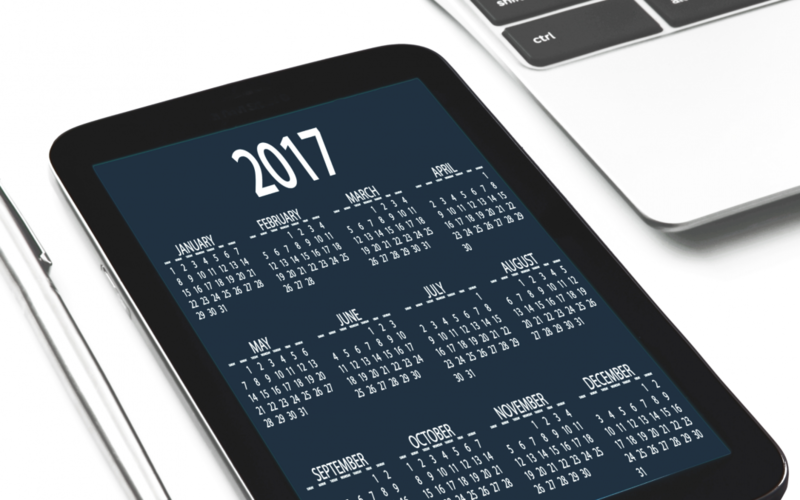 You’ll have a strong idea of how you should react to the quarterly earnings calendar, depending on your own time frame and tolerance for uncertainty. By reading you’ll also see the framework I use to manage my trend following trades through earnings season… and… how you can adapt these ideas to work for YOU! Before we can talk about how you should deal with earnings announcements, we need to talk about your trading time frame. The main time frame you use to buy and sell your stocks is going to have a big impact on how you act during earnings season. I primarily trade weekly charts, and my goal is to catch BIG trends in stock price that play out for weeks, months or even quarters on end. While I’m much more tactical than a buy-and-hold investor, I also need to hold through earnings in order to catch these big stock trends. If you’re swing trading for 5-6% gains over the course of 1-3 days, then you probably wouldn’t want to hold through earnings. Think about it: Stocks often move 5-10% based on earnings moves (and sometimes much more!) So if you’re only hoping for 5% in the first place, the risk-to-reward calculation becomes very unappealing. Do you see what I’m saying here? Depending on you how you like to trade, you’ll be able to decide how you deal with earnings. Position traders may opt to ride out earnings (because they have smaller position sizes and wider stops). Of course, this isn’t a definitive recommendation. But it should give you a bit of a framework to think about how you’ll trade around earnings, based on your own personal time frames. Because at the end of the day…. earnings are about… volatility and uncertainty! And though we’ll talk about uncertainty later, right now I want to spend a few moments with you discussing volatility, since the sword cuts both ways! The one thing most traders associate with earnings announcements, is volatility! While most traders remember the sting of a bigger-than-planned earnings loss, that’s not the ONLY outcome. The volatility CAN work in your favour. So missing that upside is the other risk. If you want to catch BIG trends in the stock market, you tend to need to hold stocks for longer times. And over time, these price trends need to be supported by fundamentals, in order to be sustainable. Before I adopted trend following many years ago, I started out as a value-focused investor. So I appreciate fundamental analysis, and often write about it on my Seeking Alpha page. Even though I make all my buy and sell decisions using technical analysis, I always include some fundamentals when screening for stocks. 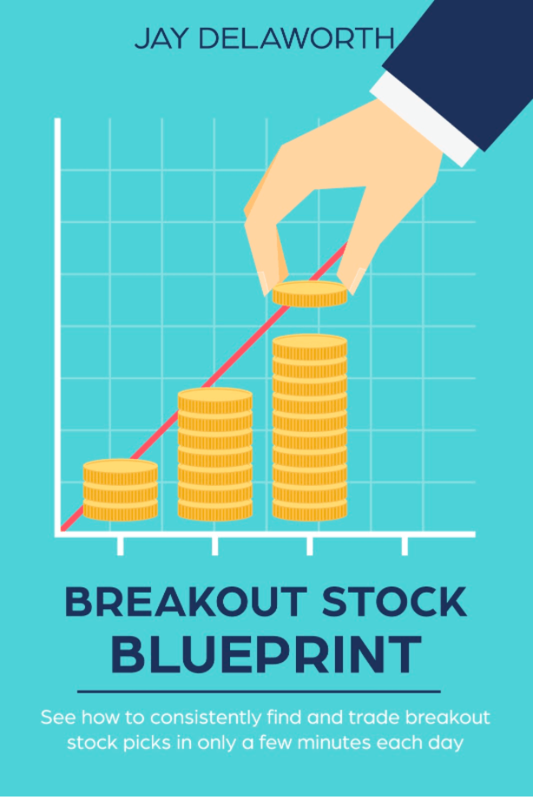 And in my Breakout Stock Blueprint, I actually explain the EXACT steps I use to try and focus on companies that consistently compound capital! This focus on quality is another reason I’m more comfortable trading stocks through earnings season. I try to avoid buying a stock if it has earnings within the next week or two. And if I do pull the trigger, it will typically be a much smaller than usual position. Then, after the earnings event, I’ll either add more or get stopped out. Before wrapping up this section on volatility, I just want to show you a few quick examples to reinforce the point. In the weekly charts below, you’ll see the kind of gains you can get while holding stocks through earnings. Of course, these results aren’t always typical, but they do happen with some regularity. By holding tight and managing risk, I can stay in the game to profit from LONG price trends. Another good example is Ferrari. Shares of RACE have been tearing it up since I bought the stock around $58. Again, you can see that by holding RACE through multiple quarterly reporting periods, I was able to earn a big gain. I’m not recommending my approach to you. But by sharing my thinking about volatility, you may be able to think more deeply about how you want to trade through these tumultuous times. In addition to volatility, your success trading around earnings is probably also going to be informed by your personal risk tolerance, and how you deal with uncertainty. That’s because if you think about it, earnings results obviously come with uncertainty. That’s just a fact of life! And since sticking your head in the sand and trying to ignore this fact will do you no good, you need to be prepared for it. … So how do you do that? Quarterly earnings results can be pretty exciting. But I do NOT recommend gambling on them. Because it’s truly akin to a coin toss! You have ZERO edge. Don’t feel the urge to place big bets (especially with options). Even if you get lucky, this can just encourage the behaviour until you eventually lose BIG. Smart people are especially guilty of this. And it’s something I used to do myself ALL the time. At the end of the day, our brains want a narrative. They want to know WHY the stock is moving the way it is. And the dangerous thing about this is… once you have an idea of the why… your ego will naturally seek to justify your position! In a worst case scenario, you might even double-down on your position after a big earnings loss! Of course, it sounds simple. If you can simply keep your bottom-line protected, then your winners really start to add up. On the other hand, if you’re constantly taking 20% losers on big swing trade positions based around earnings… well… it’s going to be hard to seriously snowball your wealth over time. As I’ve been saying: How comfortable you are with uncertainty will likely inform how you decide to trade through earnings. If you’re experiencing too much uncertainty for comfort, you’re probably going to have trouble sticking to your trading plan! While many traders decide to skip earnings season entirely, another approach is to just trade with a smaller position size. And if you’re a longer-term trader who wants to trend follow price moves for months on end, you may decide to just reduce your position size if you’re buying near a reporting period. This can help you adjust to the volatility and uncertainty that comes with earnings season. Over time, you may find earnings are just another part of life you can manage around. I think wealth building is a long term game. And that means you need to find a way to deal with earnings results that works for you. When you can stick with a strategy for building your net worth over time, you’re much more likely to see positive results. But there’s a couple more details about reducing risk during earnings season that are worth diving into further. It’s important to have a logical strategy for trading around earnings results – based on your time frame, style of analysis and tolerance for uncertainty. While it’s easy to talk about risk reduction ahead of an earnings announcement, you still might be wondering what the specific actions you can take are. Sell some of your stock before earnings. If you have a big position, a large open gain, or simply don’t want to deal with the uncertainty of another quarterly report, then you can always sell some of your stock position before the report. The exact amount is going to be up to you. But you might want to consider how big the position is as part of your portfolio. And if you already have a plan for when to sell, then the open risk is another consideration to keep in mind. In my opinion, selling some of your stock before earnings down to your “sleep-easy point,” is a simple and effective way to manage your open positions during earnings season. But it’s not the only way! Sell options to hedge your open risk. I’m not an options trading experts. But I do know people who sell options spreads in order to help them reduce their perceived risk going into earnings reports. You may cap your upside profits, but you also protect your downside. On the other hand, if a stock you own sells off from a bad earnings announcement, you could then go ahead and sell out-of-the-money covered calls agains that position to generate income while you hope it recover. Of course, there’s also a simpler approach.. Consider a blanket rule about trading around earnings. Sometimes (and especially if you’re swing trading on shorter time frames), the easiest idea is just to make a rule that you don’t hold a stock through earnings. You might also decide to go a step further and create a standing rule; wherein, you don’t buy a stock if it has earnings in the next 1-3 weeks. Make sense? This is an easy way to deal with earnings once and for all. Don’t trade earnings with discretion! Making gut calls on the stock market is a tough way to make a living. In my experience, you’ll miss out on the upside and probably over-participate in the downside. Plus, you’ll be second-guessing yourself and worrying too much the entire time. Earnings makes this worse. Whatever you do, by being consistent with how you trade around earnings announcements, you’re more likely to be successful. If your earnings trading strategy ends up not working, you’ll be able to methodically improve rather than randomly shooting from the hip. I hope this discussion of how to trade through earnings has been helpful for you. But at the end of the day, it’s a decision that every single trader must determine for themselves. So consider your trading time frame, analysis style and willingness to ride through uncertainty. Once you’ve done that analysis, you should be able to more effectively determine how you’ll trade in stocks reporting earnings. If you want to learn more about the other factors that go into my trend following trading strategies, just drop your name and email in the form below. What’s in it for you? You’ll get a 12-page mini course that shares more about my trading methodology and how you can use it to trade more consistently and more confident in the stock market! Plus, I’ll send you my favourite breaking stock trading ideas each week! Get a FREE 12-page PDF guide! Find better stock picks and finally stop second-guessing yourself!